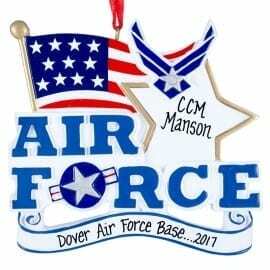 Home of the free, thanks to the brave. Support our troops! 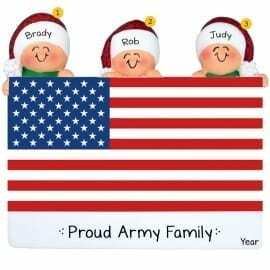 Personalized Ornaments For you is proud to support our US service men, women and families. 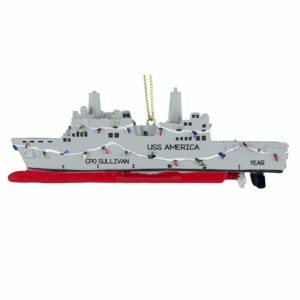 Browse our extensive selection of personalized military ornaments to find the perfect keepsake for an active duty family member. 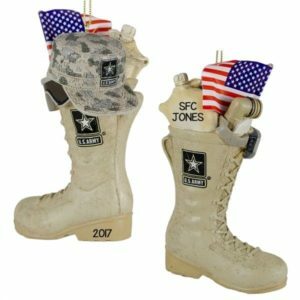 Our inventory represents the Army, Navy, Air Force, Marines, Coast Guard and Army National Guard. 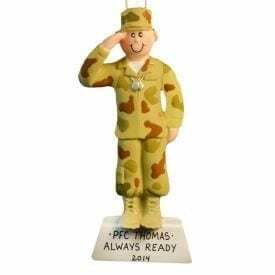 We even offer keepsakes for veterans and soldiers who did not make it home, but will not be forgotten. 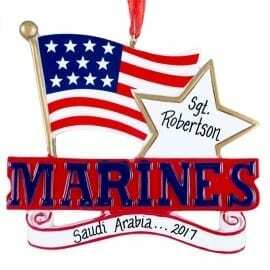 Decorate your home with patriotic red, white & blue holiday decorations for the 4th of July or display a smaller tree at Christmas adorned in American themed keepsakes.